When it comes to adding value to a house, sellers are sometimes tempted to spend on beautiful kitchen upgrades or room additions. What many don’t understand is that while these major projects will certainly add value, the price jump they’ll see won’t be as much as they spent on the project. 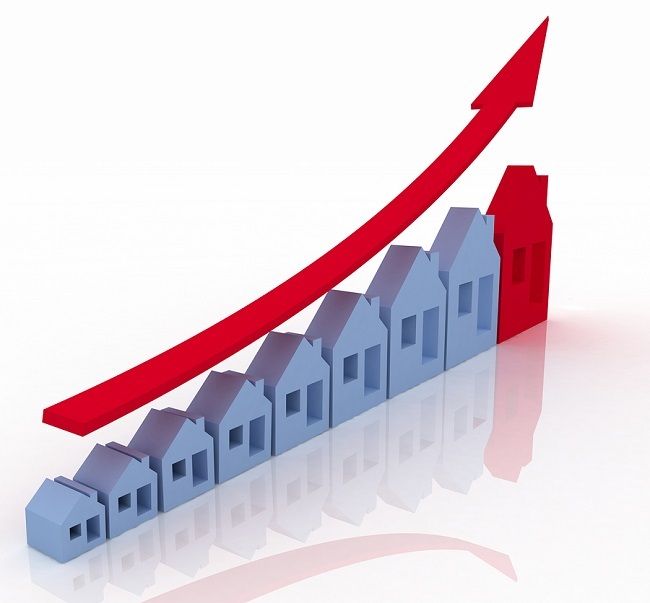 Remodeling Magazine’s 2013 report details how much return sellers are likely to see from their completed upgrades. The results show that homeowners will normally see a 54-72% return on their cost. For example, typical kitchen remodeling averaged just under $54,000, but added less than $35,000 to a home’s resale value. I encourage people to perform expensive upgrades if they want to achieve a new look and feel for their home while they’re living in it, but to save renovation dollars if they’re planning to sell right away. The best way to improve what a buyer will pay for your home is to go the extra mile in smaller ways such as these. Give your house the kind of curb appeal that makes buyers eager to step inside. Attractive landscaping, fresh paint, and a tidy appearance will set the stage for how receptive they will be as they step through the front door. Inside, a house that appears ready for a new family will appeal to your buyer’s emotions. It can be tricky finding the right balance between a cozy, inviting look and one that is too personal, which makes buyers aware that it’s not their home. If they can visualize themselves living there, they’ll be more likely to make an offer. Proper maintenance of both the interior and exterior is critical to getting top dollar for your home. Buyers will happily pay a premium price for a house that feels well-loved and is impeccably tended. Loose doorknobs, damaged screens, peeling paint, and cobwebs in the corner can detract from a property’s desirability and lose buyers. Worse, even when a buyer does step up and make an offer, they may ask the seller to pay to have these maintenance items completed anyway. Consistently caring well for your home now and balancing your needs and tastes with what is likely to be important to the next owner is the best path you can take to raising your home’s resale value. Would you like a stress-free real estate experience? If you or someone you know is looking to buy or sell in the next few months, call me today at 403-605-6440 403-605-6440 or email me at bradwillson@remax.net and I’ll put you and your needs first. Brad Willson has been making home buying, selling and investing in the Calgary area smooth and stress-free for nearly a decade. He is an awardee in the Calgary Real Estate Board Million Dollar Club, a member of the RE/MAX 100% Club and a recipient of the RE/MAX Hall of Fame Award, and is one of the few Certified Condominium Specialists in the Calgary area. Brad is as devoted to his clients as he is to his wife and two children who are now young adults. For nearly a decade, Brad has been a hardworking Calgary real estate agent with RE/MAX and specializes in residential real estate and working with investors. He prides himself on making transactions smooth for both buyers and sellers and continually expands his knowledge of the industry. Brad is one of the few Certified Condominium Specialists in the Calgary area. Brad’s level of professionalism has also brought him recognition as an awardee in the Calgary Real Estate Board Million Dollar Club and as a member of the Re/Max 100% Club. Brad originally hails from Penticton, British Columbia and moved to Calgary with his wife Bette and their two children in 2002. Prior to his becoming a realtor, he was the General Manager for a printing company that employed nearly 200 people. When Brad isn’t busy selling Calgary real estate, he is usually making plans for his annual vacation trek to Central America. This entry was posted in Buy and Sell Homes in Calgary, Calgary Real Estate, Home Staging, Real Estate Agent, Real Estate in Calgary, Seller Tips and tagged Brad Wilson, Brad Wilson Calgary Realtor, Calgary real estate, Selling Homes in Calgary. Bookmark the permalink.